Simple food items can cause a lot of fright while also being mouth-wateringly good at the same time. 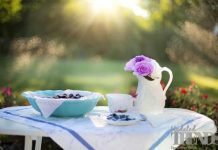 Strawberries, cherries, green and black olives, chocolate pudding, eggs and many other such food items can be converted effortlessly into mind-boggling and scary-looking foods that are perfect for the Halloween. Whether one chooses an eerie little twist in their sweet and simple recipe like monster-look burgers with a monster’s gnawing teeth, big hellish eyes can all be made with easily available food items – so easy that even kids can try making their own goofy and spooky faces on chocolate brownies and sandwiches. Instead of making a whole food item look frightful, it can only be these easy twists in the food for the guests that can create all that scare! 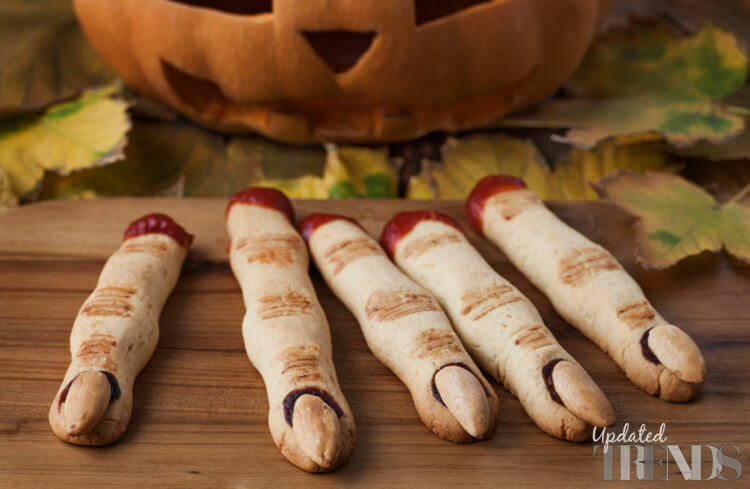 Finger sticks that actually look like fingers of a hand can be pretty spooky, yet a perfect snack item to be dipped into red blood-like sauces for a finger-licking good dish! One can get creative with this snack given the food ingredient they want to create these fingers and how real-looking does one want the snack to be. Hot Dogs, almonds and a lot can be put to use here. The fingers could be witch fingers or look like perfect human fingers and nails. 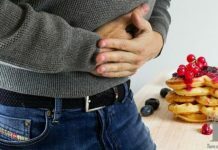 You can either opt to put the sauces or jams (if it is a dessert snack) on the ends of the fingers or little drips from the cuticle areas as per one’s idea of creepy. 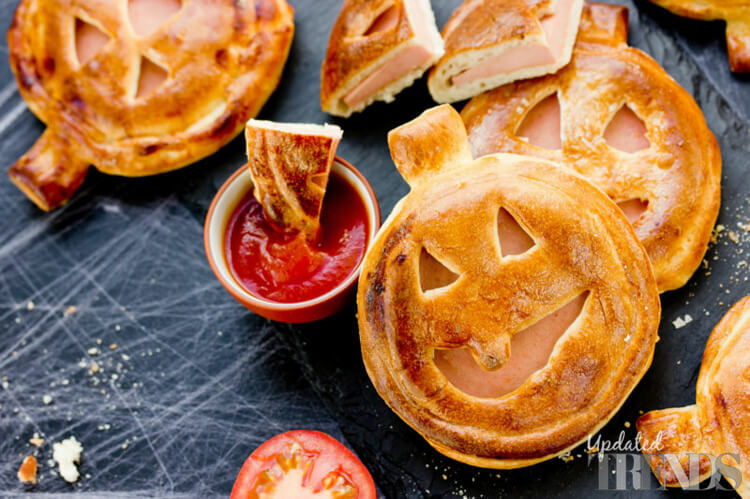 Bread crusts can be given a face to look like pumpkins or peppers cut with horrifyingly shaped eyes and wide mouths filled with sphaghetti, cheese-based foods or rice dishes for that fun yet fearful dish on the table. Alternatively, make Mummies with croissants or Jalapeno poppers and use olives as eyes on those mummy-shaped breads. Pumpkin dishes can either be roasted or pumpkin seeds can be made a little spicy sweet for a different take on pumpkin usage during Halloween. 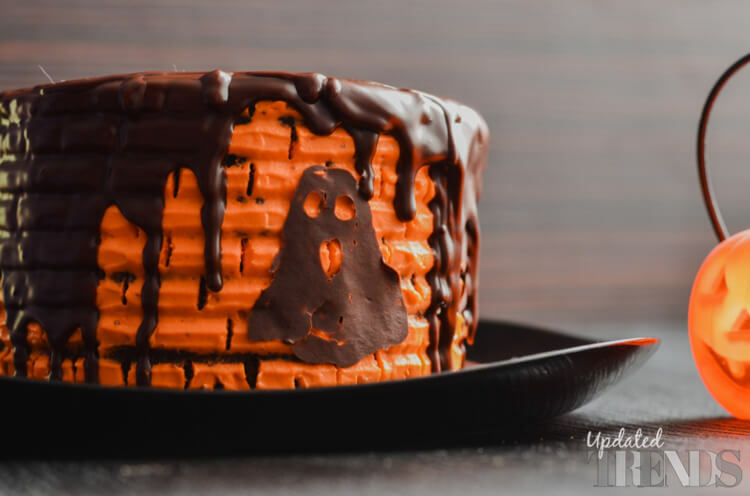 A Halloween can never be complete without dessert items – brownies, cupcakes or wholesome cakes with chocolate pudding dripping all the way from the cake body and a ghost face on the cake making it look bewitching. Eyeball cakes with coconuts and eggs for that ghastly scare yet delicious desserts are what one can achieve in Halloween 2017. 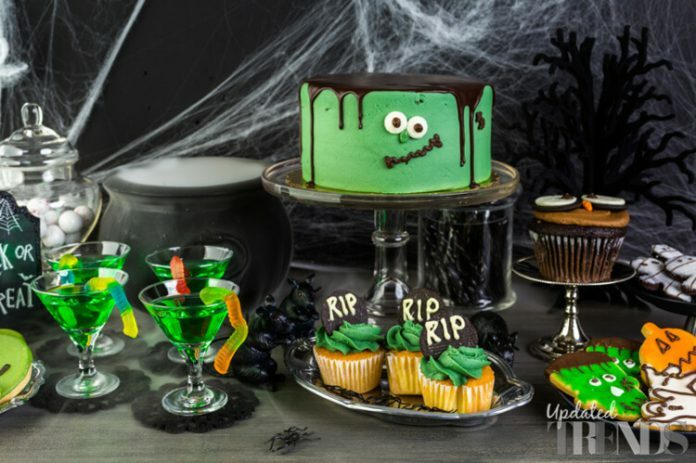 One can put Rice Krispies, meringue, marshmallows, peanut butter, cheddar, red velvet, chocolate sauce and even fruits and veggies to use for the ultimate Halloween foods. Making skulls, skeletons, body organs or anything creepy and horrifying with these everyday use items can make this Halloween special and memorable. Kids can also enjoy some funny-looking ghosts made on burgers or a whole skeleton made with veggies. These treats are going to be tricky enough!